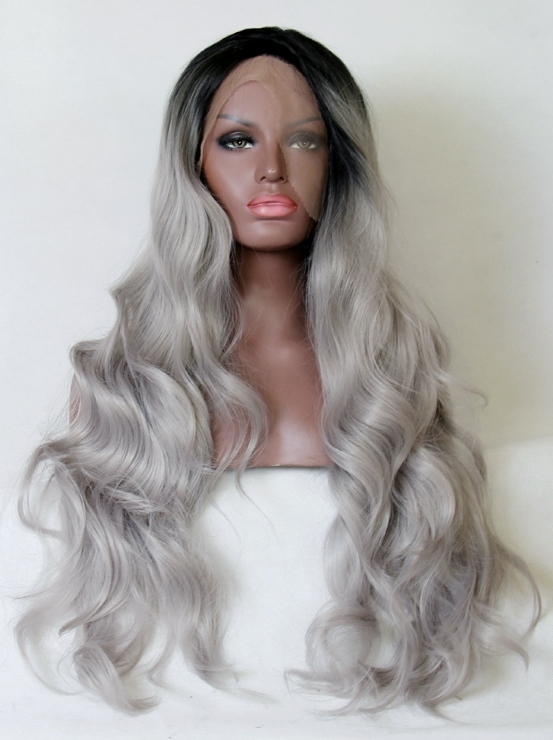 If you're into trying new things, then grey lace front wigs might just be the lace front wig for you. The great thing is that grey pretty much suits everyone so long as you can find the right tone of grey. There are many shades of grey, some whiter, some darker and some that even come with a hint of blue. The key to achieving an on-trend look is to go for dark roots either as a T-colour or as an ombre or dip-dye looks. If you're lighter in complexion or pale then avoid the white end of the grey spectrum as this can have the effect of washing out the colour of your complexion; instead opt for the slightly darker ash grey as this will balance your complexion better. If you have a darker complexion then hooray for you as any type of grey will suit you, but if you're trying to go for a stylish instead of scary look then avoid the whiter end of the grey spectrum (unless Storm from the X-Men is your heroine) and head for the slightly darker ash-coloured grey. Everyone should avoid the grey lace wigs that have a hint of yellow as they tend to look...well... y'know....sort of odd. 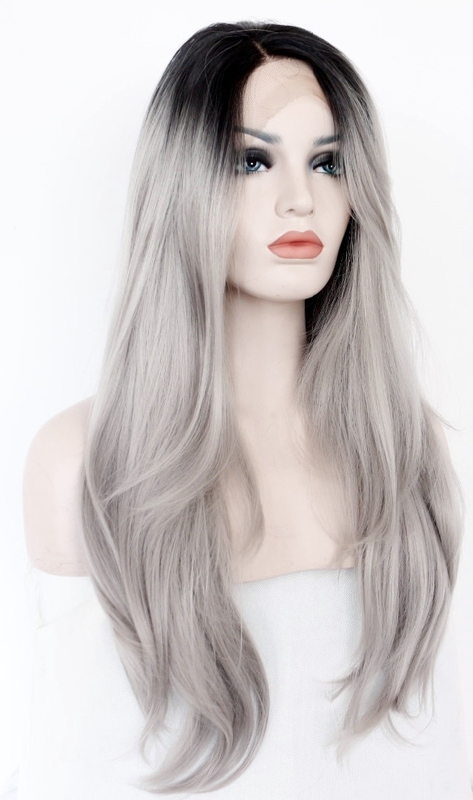 The images on this page show the different types of grey and although only modelled by mannequins, they show the colour of the grey lace wigs against different (albeit synthetic) skin tones. If you’re going to wear grey hair then it’s better to avoid wearing grey clothes unless it’s a costume - like Storm from the X-Men. Silver jewellery is great as the yellow in gold can clash with grey lace wigs. Accessories such as belts can be in any colour as they're far enough away from the grey lace wig so that they won't clash. The colours that don’t clash with grey are blues and greens and other bold or strong colours. If you want to down play the colour of your grey lace wig then lighter colours worn on the top part of your body will do that. You can also go for a silver lipstick if you're darker in skin tone as the contrast with your complexion will play to your advantage. An easy rule to follow is that the darker the grey lace wig, the more stylish and the lighter the more statement-making the look. 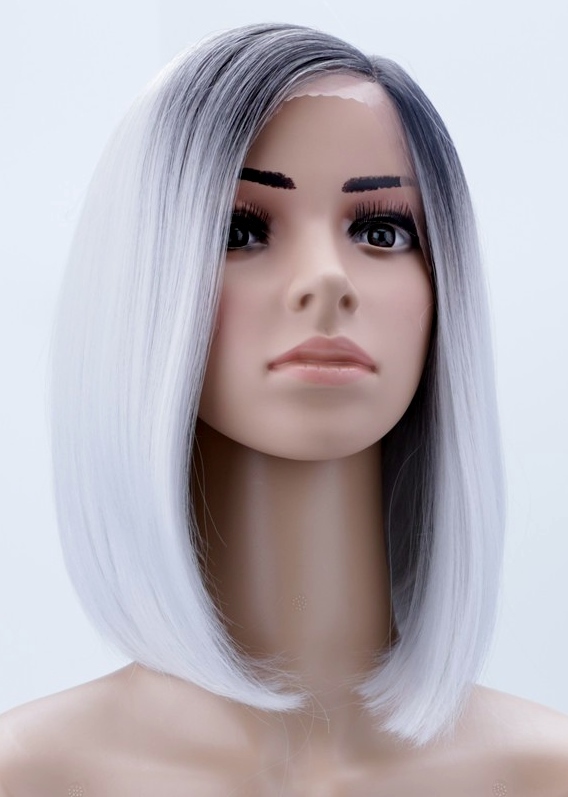 As always you can use our wigs by face shapes guide for the lengths that suit different faces but the best thing to think about when choosing the length of your wig is to think about the shade of the grey. If it’s a dark shade of grey then longer lengths in wigs won’t seem overly dramatic (of course, if that's what you're aiming for, then ignore this). If it’s a bright grey then the shorter the better for an everyday look – 16 inches and shorter like the long bob above. If you choose a wig from our synthetic section, you can wash your wig in a mild shampoo as normal. If you have a customised human hair grey lace wig then you’ll need to deep condition with a conditioner specifically for grey-coloured hair to ensure the colour doesn’t fade. So you see, anyone can wear grey wigs, keep to the colour that complements you and a length that’s manageable and your grey head will turn others green with envy!